In X & Y, there's a special kind of currency that can be earned called PokéMiles. In-game, these are earned by doing a variety of things including trading Pokémon on the GTS, StreetPassing other players, making Wonder Trades and just standard trading. In addition to that, you have the ability to play attractions on the Pokémon Global Link in order to earn PokéMiles. As standard, PokéMiles are sent to the Global Link when you Game Sync, but you have the ability to send them back to your game at a later point if you do so wish through Game Sync on the Global Link. Here, you'll be able to pick it up from a delivery person in a Pokémon Center. The main purpose of PokéMiles is to spend them on a variety of items. The items you have available to you is dependant upon the number of Medals you have accumulated. Many of these items are rare and not usually purchaseable making it worth while to get them. 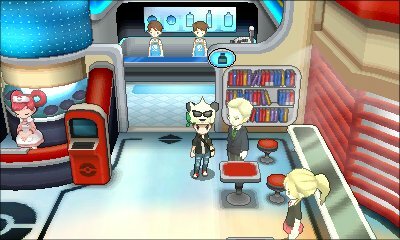 You can purchase items either in the Pokémon Center in Lumiose City's South Boulevard, or on the Pokémon Global Link where the items will then be sent next time you Game Sync.